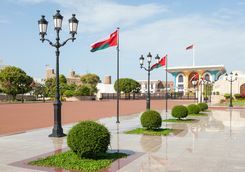 Your trip begins in Oman's capital, Muscat, where you can combine beachfront R&R with cultural encounters before decamping to the desert for a combination of isolation and adventure. Then, hit the heights in the Hajar Mountains, exploring the dramatic landscape on walks and visiting traditional villages before returning to Muscat. 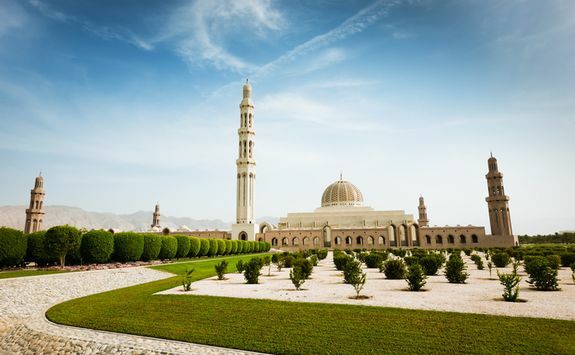 Begin your journey with an international flight to the Omani capital Muscat from London. There are daytime flights but we recommend an overnight flight, which leaves in the evening from London. 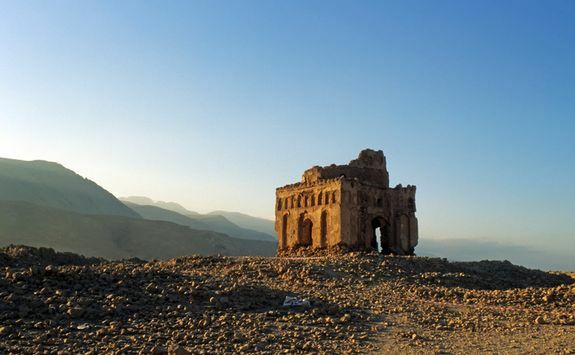 The flight time is approximately seven and a half hours from London to Muscat. 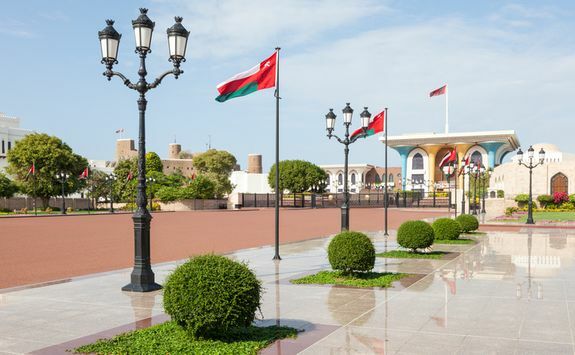 Your flight will arrive in the early morning, and you will be met after customs by our representative for a private transfer to your beachfront hotel in Muscat. 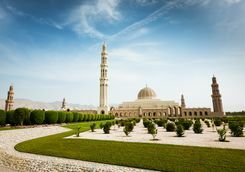 We work with a range of superb five star hotels in the Omani capital, each of which is particularly good for either families or couples, and we will recommend the best for your specific requirements. We will also try to arrange for early check in. Spend the rest of today relaxing by the pool or on the beach at the hotel, safe in the knowledge that there's a very good chance the weather will be good. Overnight in Muscat. 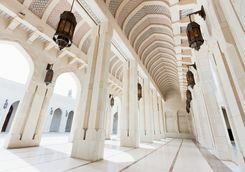 We will provide you with a detailed Dossier of places to eat and things to do in Muscat, and we can pre-reserve you a table at a local restaurant, however, most of the fine dining restaurants are in the top-end hotels, so you’ll be spoilt for choice closer to home as well. 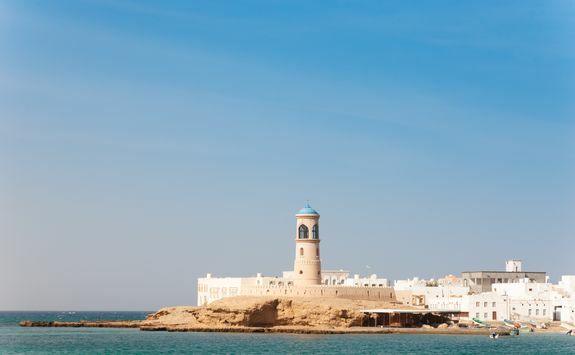 Unlike nearby Dubai, Muscat is resoundingly low-rise and low-key. This morning you will have a half-day privately guided city tour. 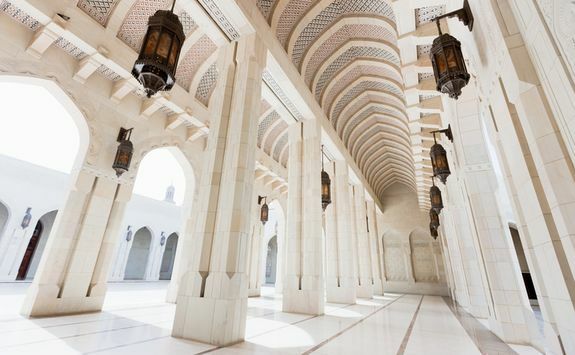 Start the tour at the Sultan Qaboos Grand Mosque, one of the very finest examples of contemporary Islamic architecture. Some mind-boggling stats: the mosque can house 20,000 worshippers, and the carpet on which those worshippers kneel is the second largest in the world. 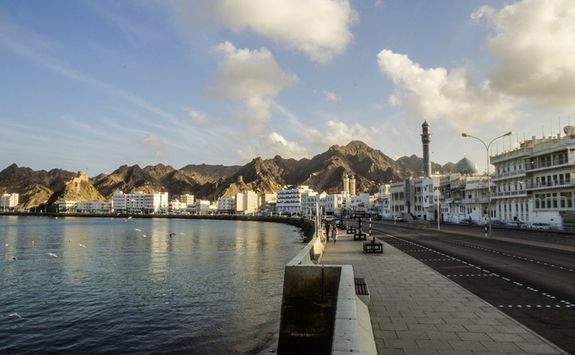 Then it's on to Muttrah, the harbour from which Omani dhows (traditional wide-hulled merchant ships) sailed to create a maritime empire stretching down the east coast of Africa. 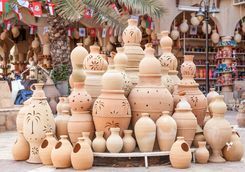 Wander along the Corniche to see if the Sultan's superyacht is moored up, then visit the lively fish market and test your haggling skills in Muttrah souq. 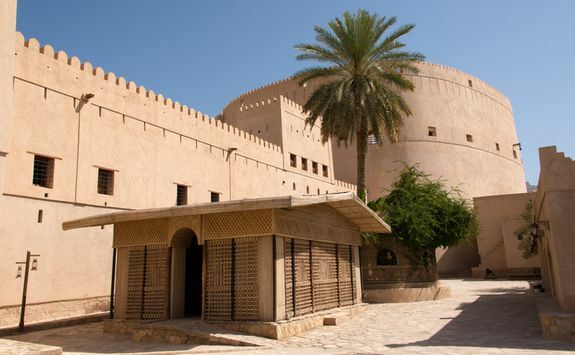 Finally, head to old Muscat to learn about Omani history in the Bait al Zubair museum, and to see the Sultan's Al Alam Palace and twin Jalali and Mirani forts, which guard the natural harbour. Spend the afternoon lounging by the pool. 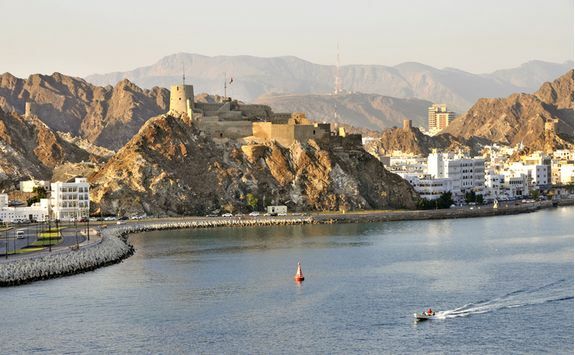 We know a lovely traditional Omani restaurant overlooking the harbour in Muttrah which is great for lunch. We can book you a table, and you should have the shuwa - succulent lamb rubbed in spices that’s slow-cooked for six hours in a subterranean fire pit. Best washed down with a refreshing tamarind juice. Today you can enjoy a well-earned day of R&R at your hotel. All the hotels we recommend have a lovely spa for that added pampering potential, as well as tennis courts and, of course excellent restaurants for a long, lazy lunch. 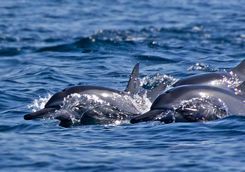 We can arrange dive trips, dolphin spotting trips and boat charter trips out to the Daymaniyat Islands so you can explore them any which way you like. Boat charter day in the Daymaniyat Islands: We can arrange private charter departures on a 44ft catamaran or a 32ft powerboat, and these can be chartered with a skipper or 'bareboat' (for which you would need the relevant sailing or power boat qualifications). 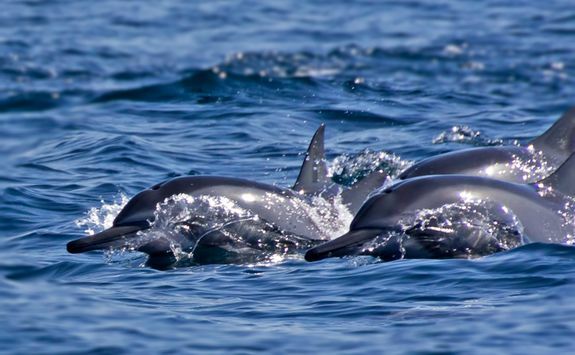 The Daymaniyat Islands themselves are fun to explore, but if you're lucky even getting there can be fun as dolphins sometimes swim alongside the boats. It's time to spread your wings and explore more of this beautiful country on a private 4x4 safari. 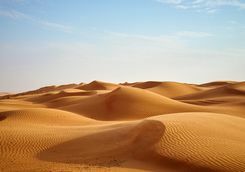 This morning you will meet your guide and depart in your 4x4 vehicle to the desert dunes of the Wahiba Sands via the scenic and rugged coastal route. 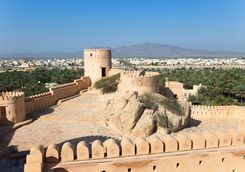 This tour along the coastline offers breathtaking glimpses of the blue waters and pristine white beaches of the Gulf of Oman. 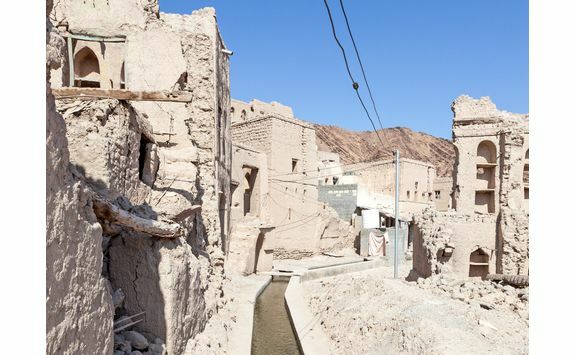 Drive past the fishing village of Quriyat, the Bimah sinkhole - a spectacular collapsed limestone sinkhole, white beaches where you can enjoy swimming and Wadi Tiwi where you can stretch your legs on a walk. 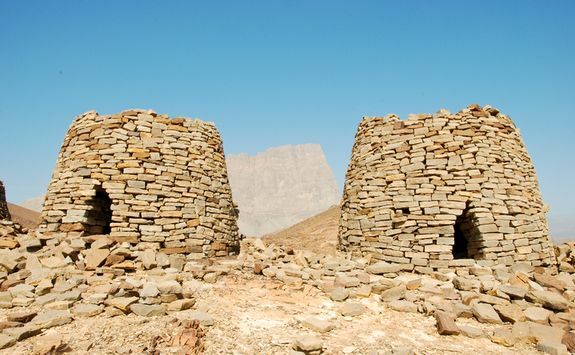 Nearby, visit the ancient city of Qalhat, where only a domeless mausoleum remains. 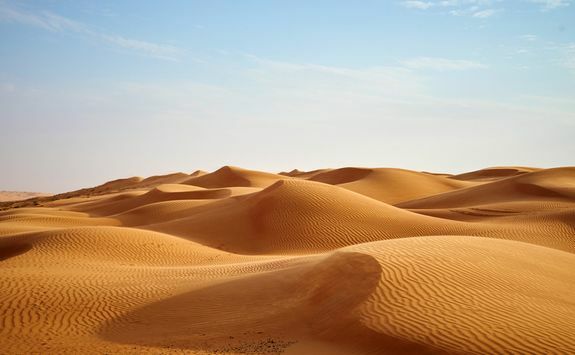 Continue into the dunes of the Wahiba Sands until you reach your desert camp. 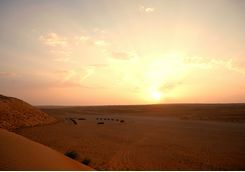 This evening you can enjoy dune bashing, a camel ride, sundowners from the top of a tall sand dune and stargazing with zero light pollution. 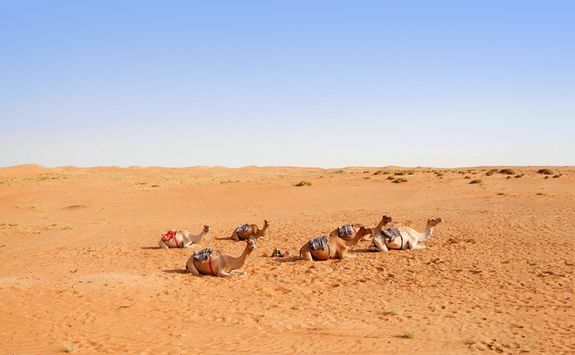 As you can see, there’s plenty to see and do en route to the desert, and we can include as many or few as you like in the itinerary today. 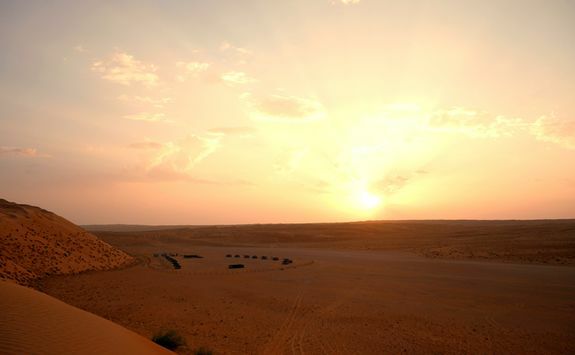 This morning you can enjoy more activities at the camp (sandboarding, anyone?) 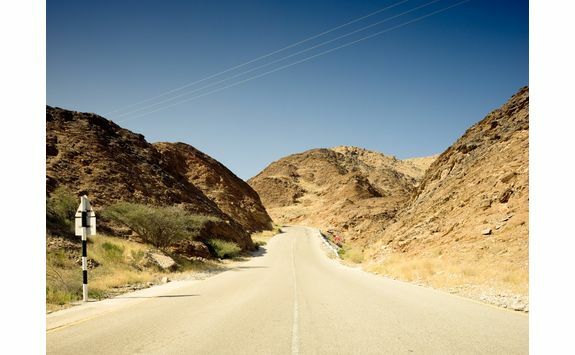 before the sun gets too high and then it's time to hit the road again, destination: the Hajar Mountains. 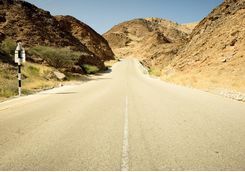 The journey should take more than four hours with stops, including one for lunch, and this afternoon you will arrive at your hotel. Spend the rest of the afternoon at leisure, and maybe go for a short stroll along a well-defined walking trail. We will talk you through the particular benefits of each potential hotel in the mountains but rest assured - whichever you choose to stay in, the views will be spectacular. 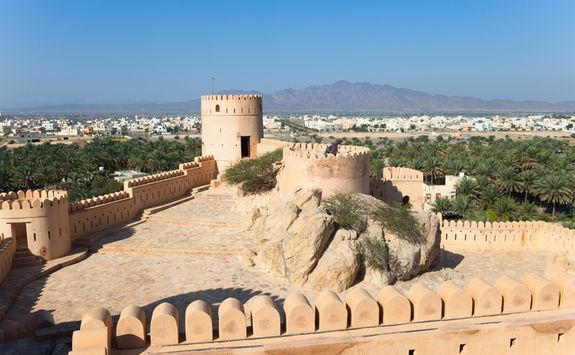 Today you should pay a visit to the one-time Omani capital of Nizwa, famed for its market. 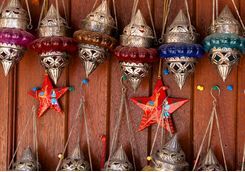 This is also a good opportunity to pop into the stalls selling textiles and other fun souvenirs. 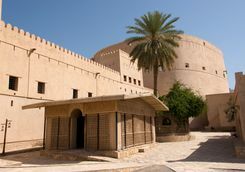 After the market winds down, visit the 17th century Nizwa Fort - one of the finest in all Oman, and which has been expertly restored - then stop at the almost deserted oasis village of Birkat al Mouz, home to a classic example of the ingenious falaj irrigation system which sees ancient waterways channel water through the village. This afternoon you can relax back at your hotel, or enjoy a spa treatment or two. 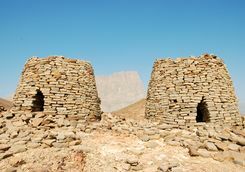 If at all possible we will try and work your itinerary (for example, this itinerary route can be reversed) so that you are able to enjoy a private guided 4x4 tour on a Friday for Nizwa’s weekly livestock market where Omanis trade in a market pretty much unchanged for centuries. 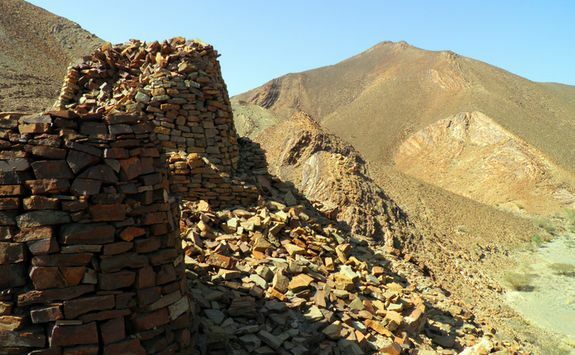 This morning you will be enjoy a private guided 4x4 of the Saiq Plateau. Lying at 6,000ft above sea level the plateau has a peculiarly pleasant microclimate that has seen it become a hugely fertile and productive region for cultivation of crops from peaches to pomegranates and - in April and May, damask roses. 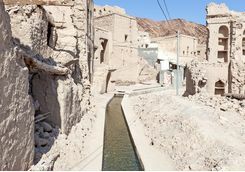 Visit the beautiful traditional village of Al Ayn, with another ingenious falaj irrigation waterways, and families who still produce rosewater using centuries' old techniques. 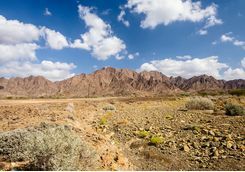 In April or May, when it's starting to get pretty hot in lowland Oman, you can savour the deliciously cool mountain air and see the damask roses in full bloom before many are harvested for rosewater. You will arrive back at your hotel in time for lunch, and then you have the rest of the afternoon at leisure, to enjoy more spa treatments, lounge by the pool or go for walks along the local trails. 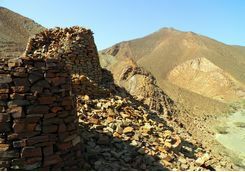 The Saiq Plateau was once only reachable via a six hour trek, but now there is a hard top road making access considerably easier. 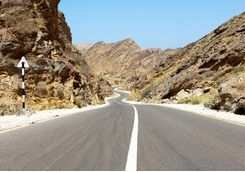 There's no rush to leave this morning, so grab one last spa treatment or stretch the legs before lunch at your hotel and then a private 4x4 transfer back to Muscat. 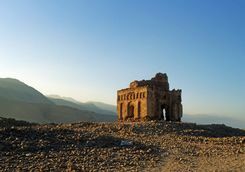 You can choose the tarmac road back, which takes a couple of hours, or the more adventurous off-road route through the heart of the Hajar mountains, with dramatic drop offs, spectacular views and - once you've emerged back on to tarmac road - the chance to visit Nakhal Fort, another of Oman's finest. On arrival back at your Muscat hotel, spend the rest of the afternoon relaxing. 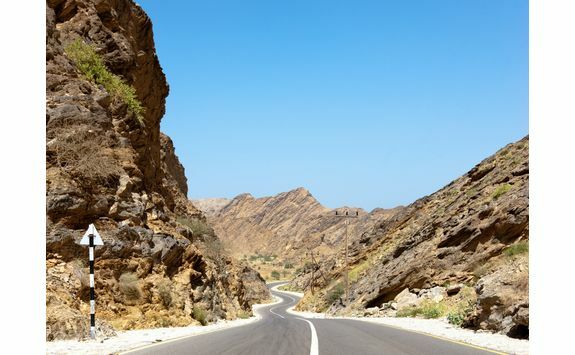 If you want an easy journey, then it’s a gentle two-and-a-half-hour journey back to Muscat on paved roads, but if you’ve got a sense of adventure then we strongly recommend the dirt track route through the mountains! Whether you're a diver or just a snorkeller, this morning we have arranged a half day trip to the Daymaniyat Islands. 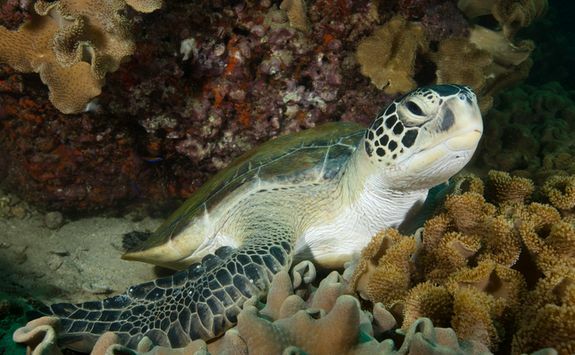 We work with the best dive centre in Muscat, who can arrange two dive (or snorkel) morning trips to the islands. 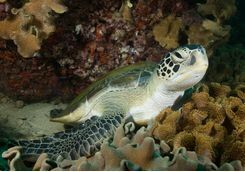 The islands are uninhabited, and divers and snorkellers alike can see sea life ranging from dolphins to turtles. You will arrive back at your hotel in time for a late lunch and have the afternoon to relax. You can speak to one of our dive specialists from the Original Diving team to find out more about the marine life and dive sites in the Daymaniyats. 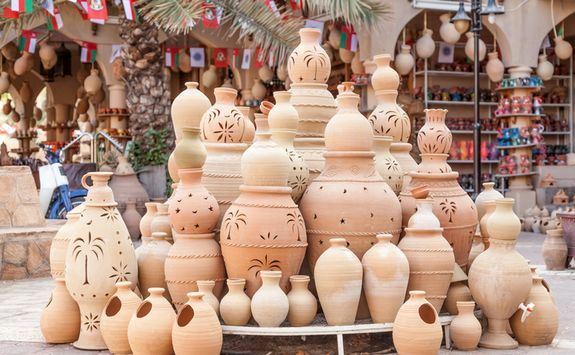 Today is best spent relaxing or doing some last-minute haggling at the Muttrah souq. 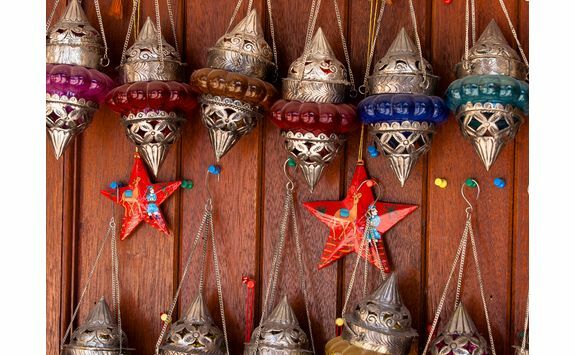 As your trip is likely to coincide with UK winter, enjoy the last of the sunshine! Depending on which airline you fly with, your flight will leave in the morning or early afternoon and we have arranged for a private transfer back to the airport for check in two hours before the flight. The flight back to London takes roughly eight-and-a-half-hours so you will arrive either early afternoon or evening.